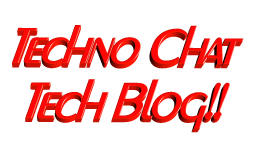 AJAX Web Chat Server with Active Directory Authentication | Techno Chat|Tech Blog!! For PHP and MySql with Apache web Server you can use Wamp Server. You have to install PHPBB3 first, for PHPBB3 installation help click here. Now you have to set Active Directory authentication for PHPBB3. For that first you have to enable LDAP extension on php and you have to create a user id in active directory with password never expire enabled. Then you have to create the same id in PHPBB3, if you decided to use displayName as all users ID then you have create that ID same as displayName or else you can use sAMAccountName as all users logon id, for that case you have to create that ID same as sAMAccountName. After that you have to give founder permission on PHPBB3 on that ID, and logon with that ID in phpbb, then goto ACP>General>Authentication, Select an authentication method as LDAP and use following as per your domain. LDAP password: Password of above user id. If you specify everything properly, then you will get following screen. *If you set displayName in LDAP uid, then user id will be their domain Display Name, and if you set sAMAccountName then user id will be domain logon id. **We have Exchange Server in our network so for that we use mail as e-mail attribute. Now you have to install AJAX Chat on PHPBB3, download AJAX Chat from bellow link, and extract it into PHPBB3 install directory and execute following path. Now go to http://example.org/phpBB3/chat and logon with any domain user id and password. This entry was posted in Others, Scripts, Server, Windows and tagged Active Directory Chat, AD Chat, AJAX Chat, AJAX Chat - Open Source Web Chat, AJAX Chat Server, AJAX Chat with LDAP, Chat Server with Active Directory Authentication, Chat Server with Active LDAP Authentication, ChatServer with AD Authentication, Easy Chat, Enterprise Chat Server, Free Chat Server, Free Web Chat Server, freen Enterprise Chat Server, LAN Chat, Lan chat server, LAN Messanger, lan talk, PHPBB3 LDAP Authentication, PHPBB3 LDAP Tutorial. Bookmark the permalink. what kind of info u need? Hi there! Very useful post! I am very glad that I was able to stumble upon your blog while searching Yahoo. Koodles for this great post!